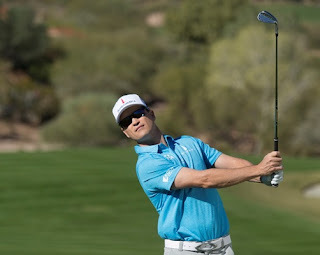 This week’s update is from PGA TOUR professional and Team RSM Member Zach Johnson, who is also a resident of Sea Island, Georgia – home of The RSM Classic. It’s hard to believe The RSM Classic is just two weeks away. I’m looking forward to seeing many of my golfing buddies here on St. Simons, and to welcome all the golf fans who will be here to witness some of the most scenic golf on TOUR. Sea Island is a special place – not only is it my home, but the island’s natural beauty, welcoming people and, of course, the world-class golf courses make the experience second to none! Each year, it’s a thrill to welcome newcomers, returning golf fans and my friends from RSM to the island, and this year will be no exception. Hurricane Irma left the island a bit bruised, but the courses are looking good, and will be ready for the spotlight! This year’s tournament is scheduled for Nov. 13 to 19 – the week before Thanksgiving, offering the perfect opportunity to break away before the busy holiday season. There will be activities designed to support local and national charities throughout tournament week too, giving visitors a great opportunity to support those in need. I hope you’ll join us for the eighth year of The RSM Classic!